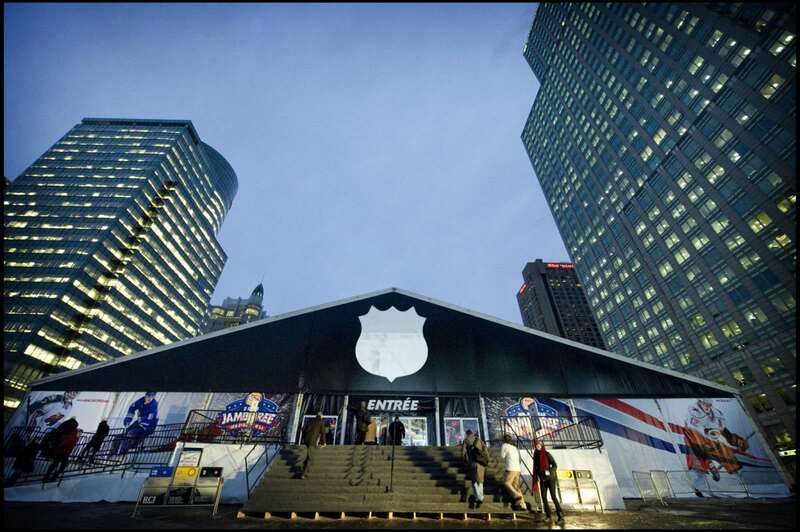 While the typical hockey game has extreme written all over it – extreme skill, extreme excitement, extreme fighting…we had no idea that it would include extreme tenting when Kreate, Inc. approached Regal Tent Productions to install two major structures which would provide the infrastructure for the Lay’s All Star NHL All-Star Jamboree in beautiful downtown Montreal, Canada. It would prove to be the “ultimate” extreme. The definition of extreme in this case goes something like this: Two separate structures, a million yards of tent fabric, sixty thousand square feet of coverage, fifteen semi-trucks full of equipment, ten days of installation, multiple floor levels, thousands and thousands of bolts and screws, one hundred crew, an army of city and engineering entities, language barriers, 100,000 attendees, a battalion of press, a very discerning client, one very cold, snarky Mother Nature, and only ten tightly scheduled, action packed days to accomplish an extremely challenging project. In addition to the 60,000 square feet of tent structure, Regal Tent Productions was tapped to install the connecting canopies, multi-level flooring and carpeting, and a plethora of broadcast equipment as well as design elements like black tent canvas and (19) 17′ high screens images of the All Star hockey players. 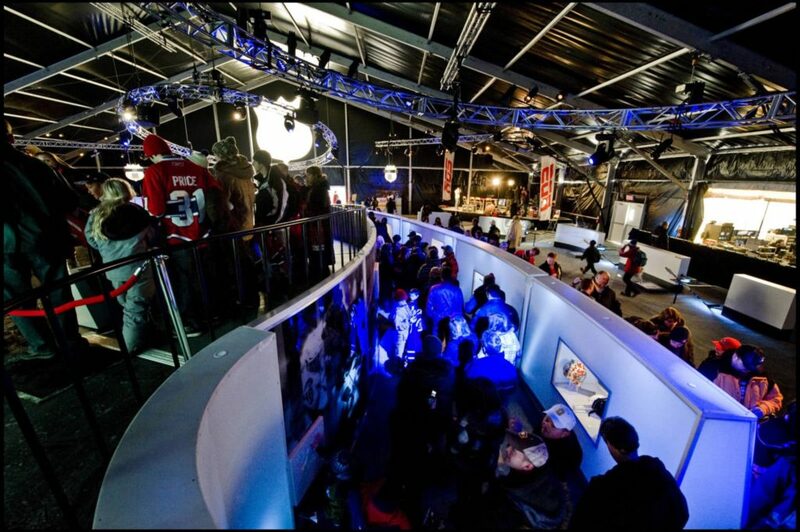 The space had to be functional yet aesthetically pleasing since the structures would house the Hockey Hall of Fame, a store, an ice rink and multiple media areas for live broadcast as well sustaining integrity for four days of nonstop public crowds. 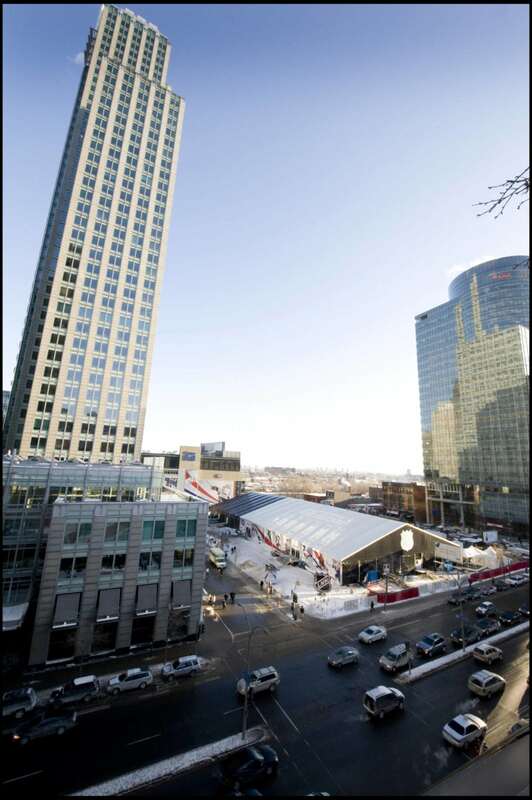 Overcoming challenges of sub zero temperatures, a full day delay in scheduling because of inclement weather, last minute load challenges because of the weight of the additional snow, public safety concerns and contingency plans for evacuation and weather, Regal Tent Productions forged ahead to complete the project on time and on target which made for a happy client and an extremely happy ending. At Regal Tent Productions, extreme challenges are met with extraordinary results.